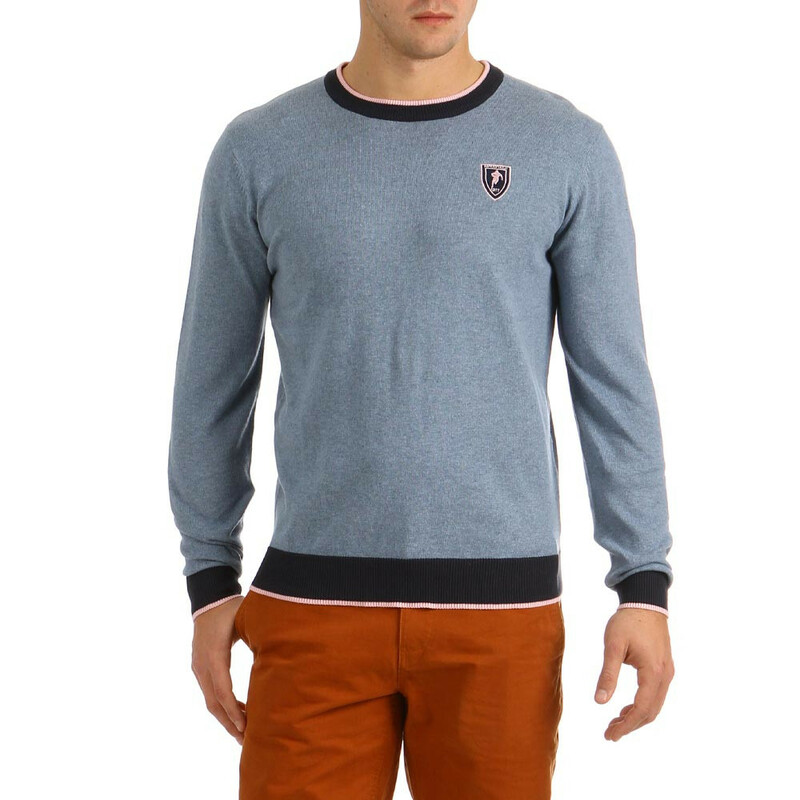 This blue round-neck rugby jumper in 100% cotton stands out with its contrasting ribbed edging at the cuffs, waist and neck. 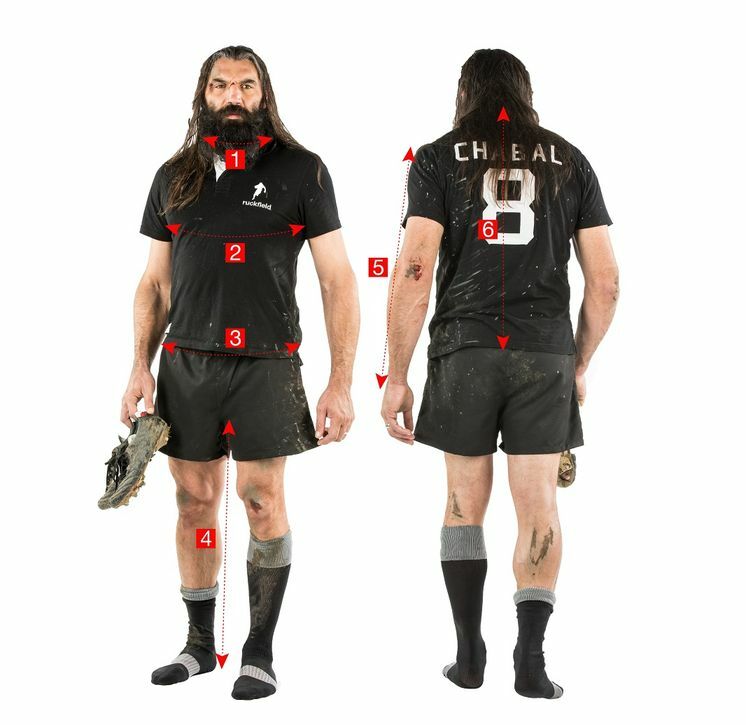 Chest embroidery with the silhouette of S꣡stien Chabal. 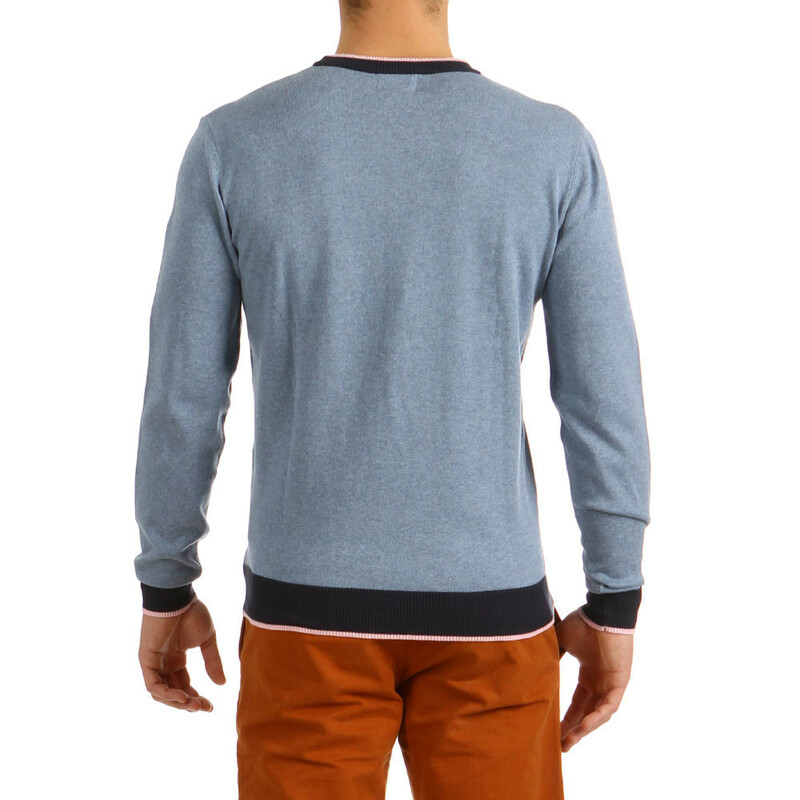 This blue jumper would go perfectly with bright coloured trousers for a retro-chic look.